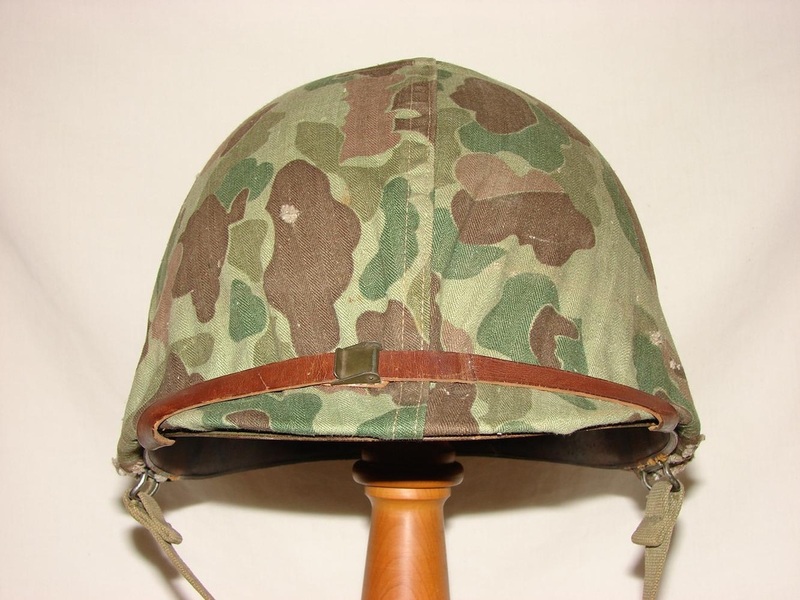 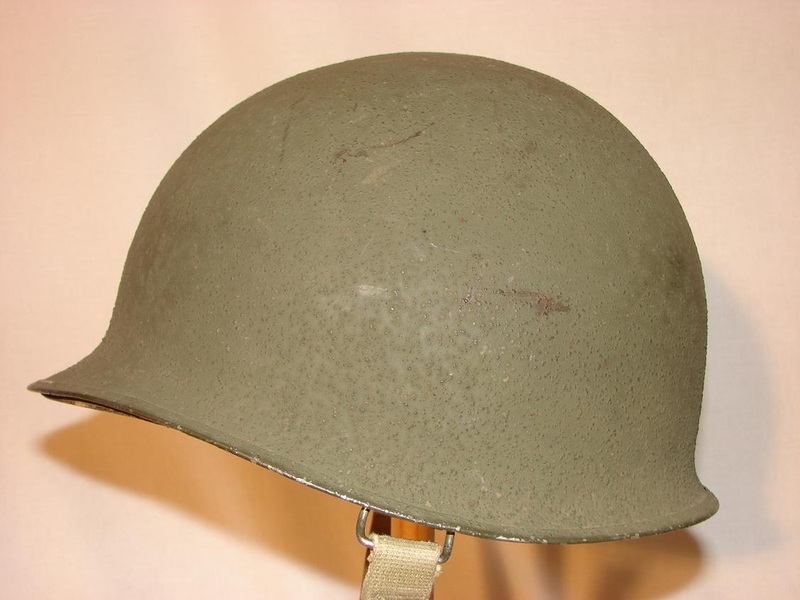 Front seam swivel bale (from October 1943) steel helmet made by McCord Radiator Co with IMP (International Moulded Plastics) liner. 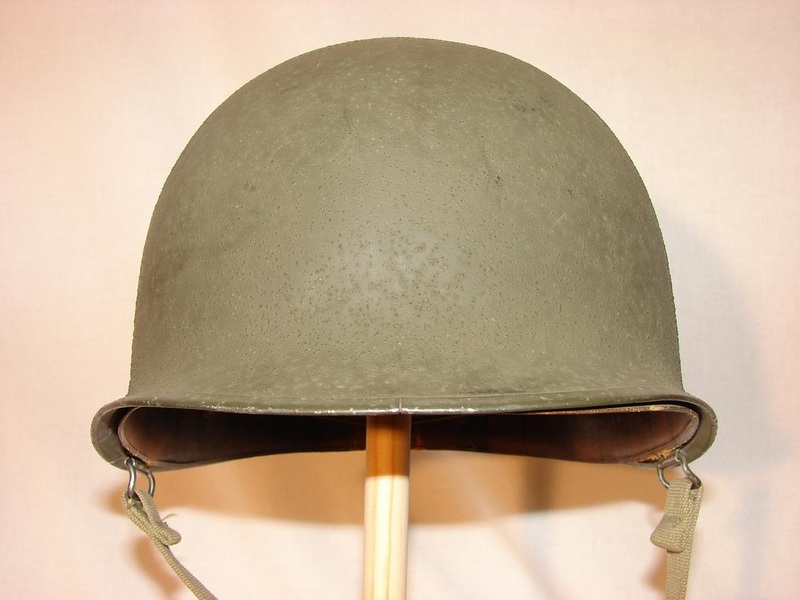 Green painted hardware on these liners were used in production between October 1943 and June 1944. 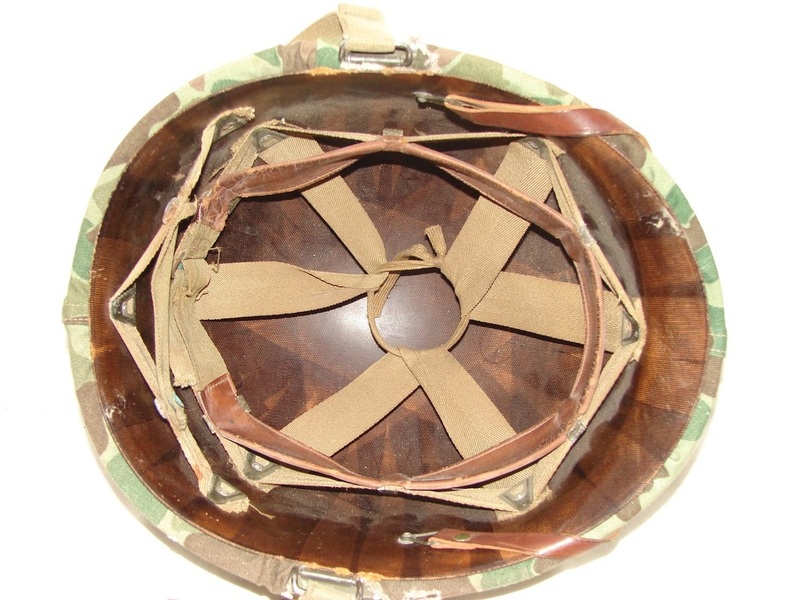 IMP made 1.4 million (3.3% of total made) liners during WWII. 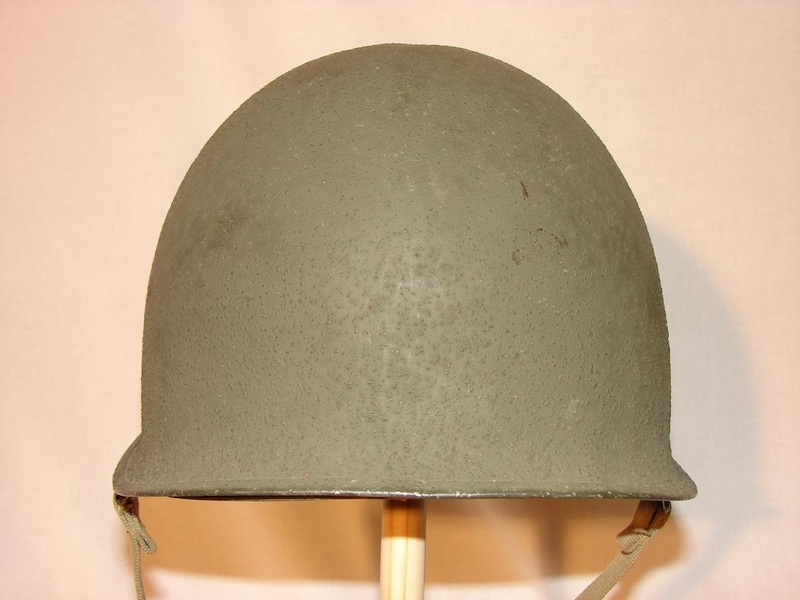 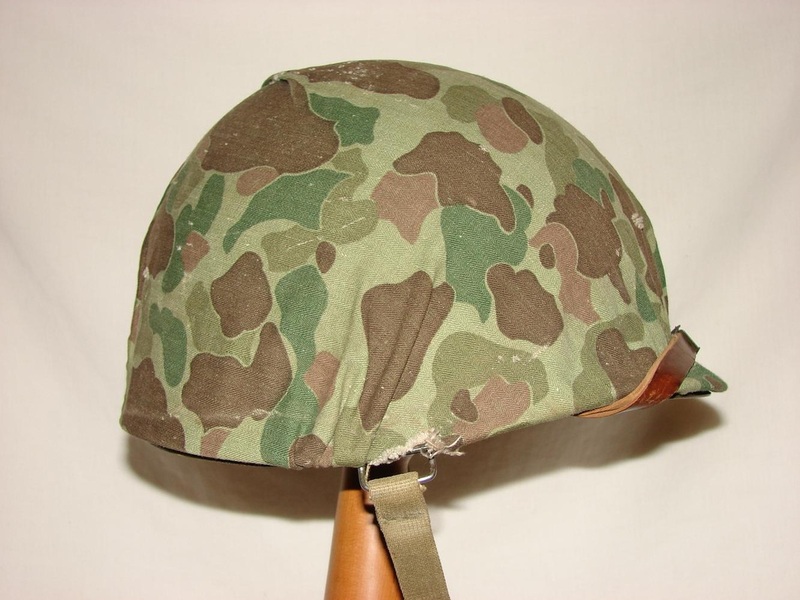 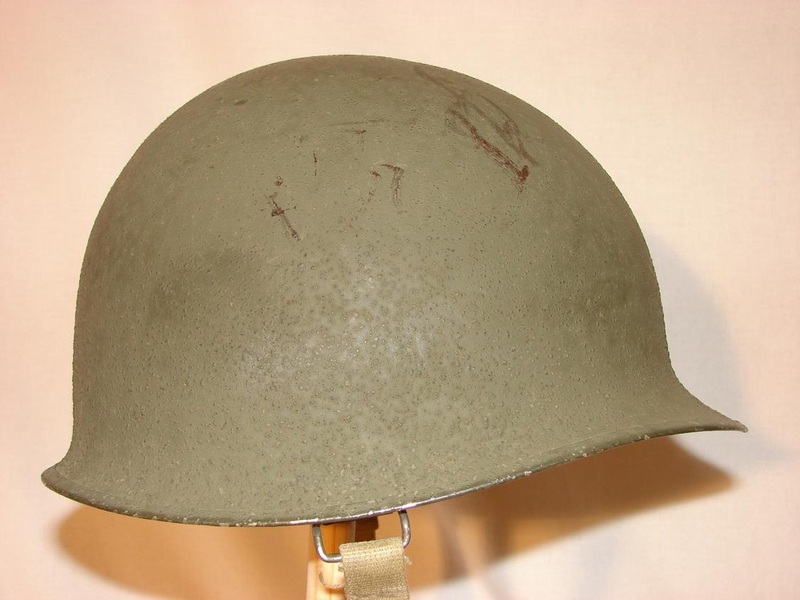 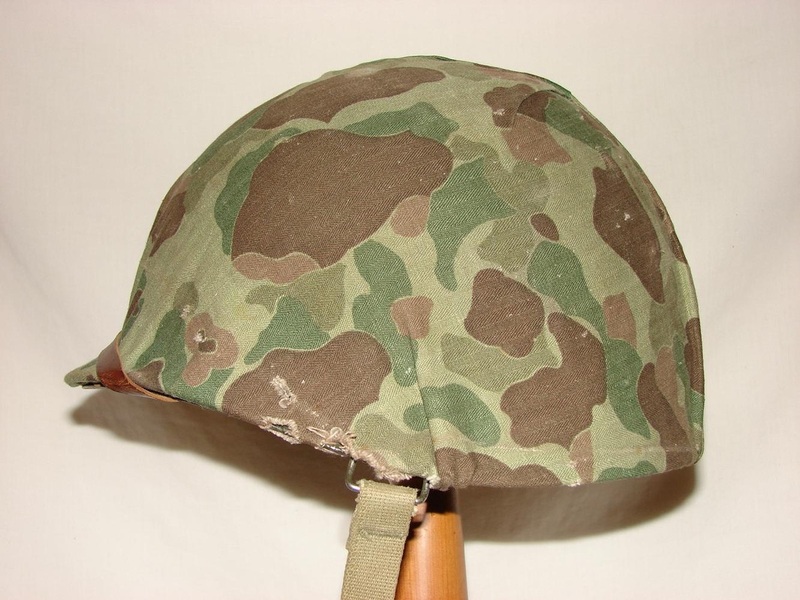 The heat stamp (#914) found inside this particular shell dates this helmet May 1944. 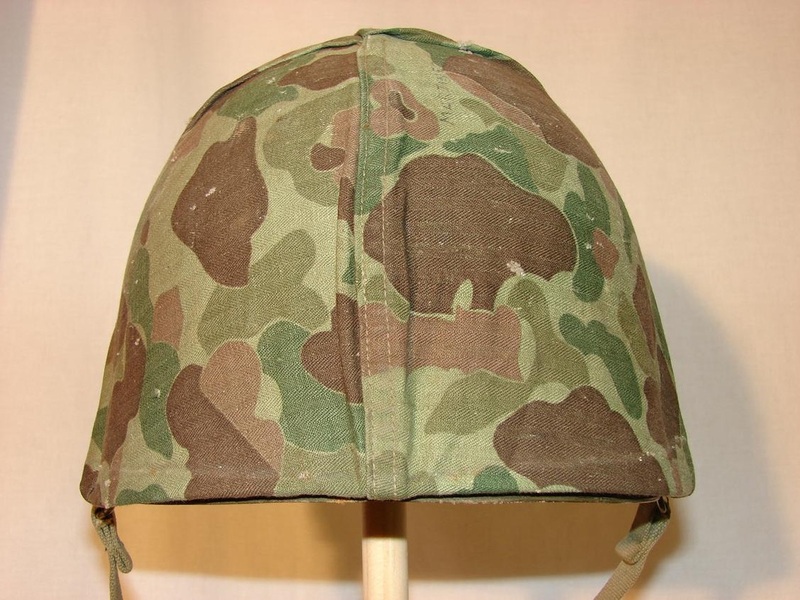 The reversible cover is the first pattern USMC (without foliage slits) which was adopted in 1942.